The Scrum Master Certified course helps the students in understanding the fundamental principles that form the foundation of Agile. The course also explores the Scrum framework in deep detail and also blends an overview of the key practices for Agile. The course starts off with an introduction to Scrum, the most frequently used agile framework with over 70 percent of agile projects using Scrum in one form or another, then it goes on to the real-world examples to enable the students to apply the knowledge to solve real problems. Scrum is the agile development process that allows teams to deliver usable software periodically throughout the life of the project, dynamically absorbing change and new requirements as the project proceeds. 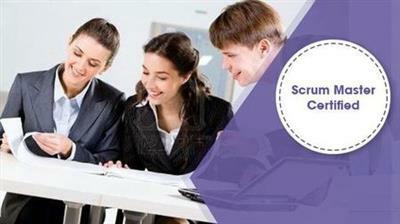 The course covers the Scrum Master Certification curriculum in detail and enables the students to clear the exam. Note: PMI, Project Management Institute, Project Management Professional (PMP), PMP, Certified Associate in Project Management (CAPM), CAPM, PMI Agile Certified Practitioner (PMI-ACP), PMI-ACP, PMI Risk Management Professional (PMI-RMP), PMI-RMP, PMBOK, PgMP, PULSE OF THE PROFESSION, THE PMI TALENT TRIANGLE and The PMI REP Logo are registered marks of the Project Management Institute, Inc.